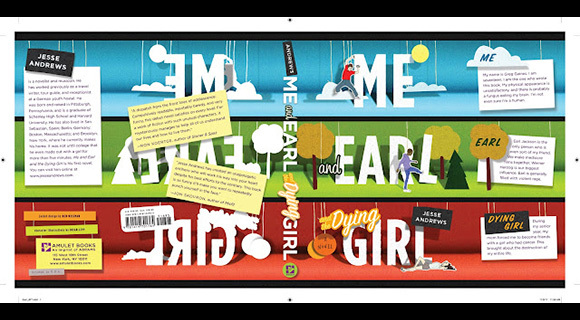 “Me, Earl and the Dying girl” is about a boy named Greg Gaines (the ‘me’ in the title) who is starting his senior year and has managed to stay under everyone’s radar by being friendly with all the cliques. This might make him sound like the most popular boy in school, but he’s actually the loneliest having made no friends whatsoever. Greg would rather be friendless, then hated by someone/anyone. Greg is not completely friendless. He likes to call himself a ‘coworker’ of Earl with whom he makes movies. Earl is from a very bad part of the city, living with his mother and brothers. To get away from some of the crap he has to deal with at home, he hangs out with Greg at the Gaines residence. Greg’s plans of staying friendless and out of any inner circle are disrupted when his mother forces him to hang out with Rachel Kushner. Greg’s mom is under the impression that they were friends, and that Greg should cheer up Rachel, who has been diagnosed with leukaemia. Greg disagrees, but he has no choice and starts hanging out with Rachel who laughs at everything he says and listens to him. The story consists of Greg writing down the story of how his senior year went. He writes it in the summer after his senior year, looking back on himself and his decisions. The writing style changes during the book, sometimes there is dialogue in a scriptlike way, sometimes there are just bullet points of what people said. Because the book is ‘written’ by the main character, it adds depth to the character. He gives a lot of commentary on what happened and especially on how he himself handled the situation. However it did become irritating in some places, because the main character is obviously lacking in the confidence department and sometimes there is a bit too much self-criticism. One other thing I got a bit tired of after a while was how badly he wanted everyone (and mostly the people reading the book) to know that he had all the wrong motivations to hang out with Rachel instead of those of a friend. Even though it is obvious he is gaining a friend by hanging out with her. In conclusion I liked the book for its writing style, and the fact that it had an unusual main character, who isn’t your usual unobvious but actually gorgeous and heroic main character. I also liked that it was a very ‘real’ story, although the main character grows up during the book, there are no false pretences of him ending up with the hot girl and the dying girl doesn’t do anything very inspirational with the fact that she is dying. She just hates that she is going to die. However I don’t know if I would recommend the book, mostly because at times the self-criticism was a bit too much and made me dislike the book and almost prevented me from finishing it.